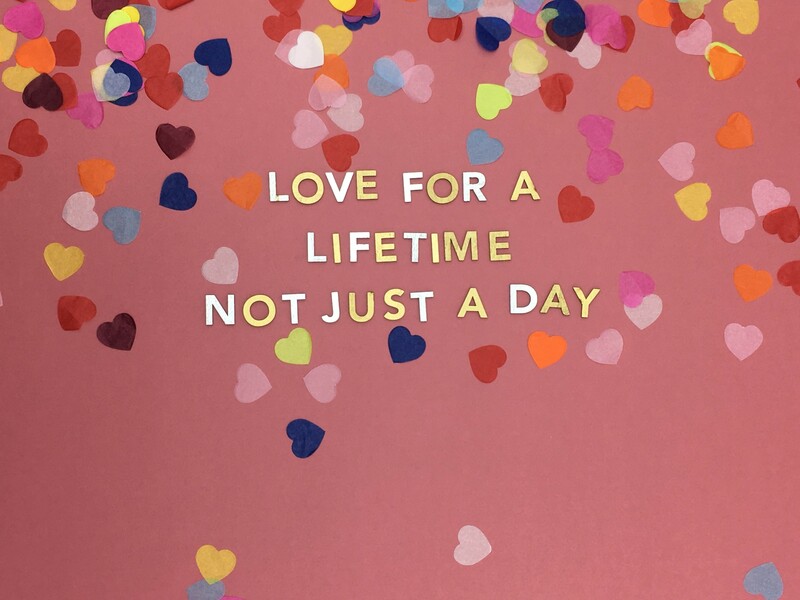 We all know that Valentine’s Day is all about showing that special person in your life that you care, that you love them and that they matter. At Gretna Green, we believe in celebrating love and romance all year round, and that’s why we’ve created a special Valentines Handfasting Package just for you. Not only can you and your favourite person enjoy a romantic experience over the valentines’ period, but you’ll be able to “lock in your love” forever at Gretna Green, becoming part of our famous romantic history. Handfasting is something that all couples, families and loved ones should experience, whether its tying the knot, re-living a moment or simply celebrating your love for one another – there isn’t a more magical way than our handfasting package here at Gretna Green. Everything included will bring you a moment to savour as we supply you with our wonderful lovelocks for you to place on our love wall for all to witness, Photos of your occasion as well as free access to our Blacksmiths Museum. One FREE extra adult admission to the Blacksmiths Shop if you would like to bring a guest. * (Under 12s Go Free). *Additional guests are charged at the standard museum entry rate. Why not visit our wonderful Blacksmiths Foodcourt and enjoy a meal for two? 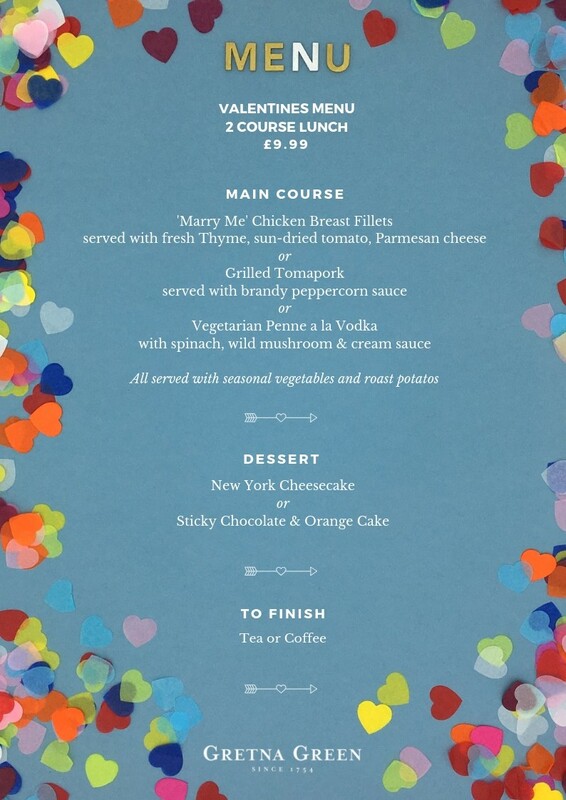 For just $13.00 per person, you can enjoy lunch from our special Valentine's menu. Available every day from 9th – 14th February. If you would like to book this exclusive Valentine's Handfasting Package and meal, please contact our Blacksmiths team. You can call on 01461 337893 or email via blacksmiths@gg.com. They are very happy to help! 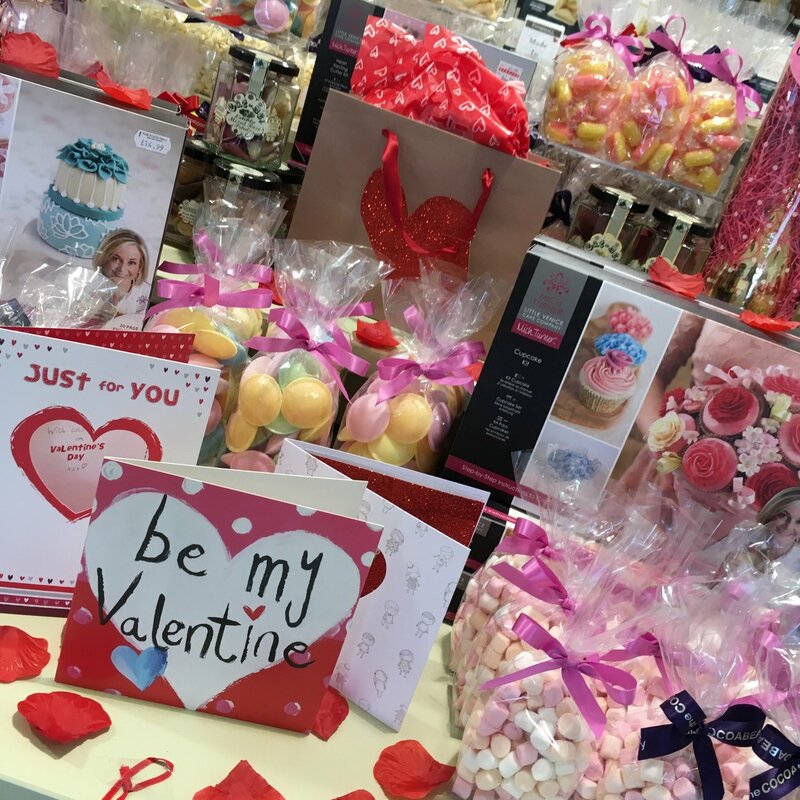 Or spoil your partner with our wide range of valentines’ gifts and treats at our Since 1754 shop? We have a fantastic selection of famous brands including Swarovski, Barbour, Joules and Radley as well as speciality Scottish delicacies such as fudge, jams, whisky and don’t forget our gin selection available in our Foodhall. We also have a wide selection of Valentines’ gift ideas around our site, full of unique and romantic wonders for that special someone. If there is one place to visit this valentines’ day it has to be Gretna Green, the original home of romance, Gretna Green. Love for a lifetime, not just a day.